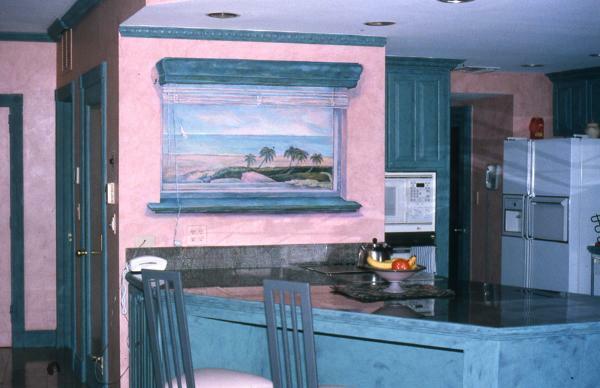 area between the marble countertop and the turquoise green wood frame. 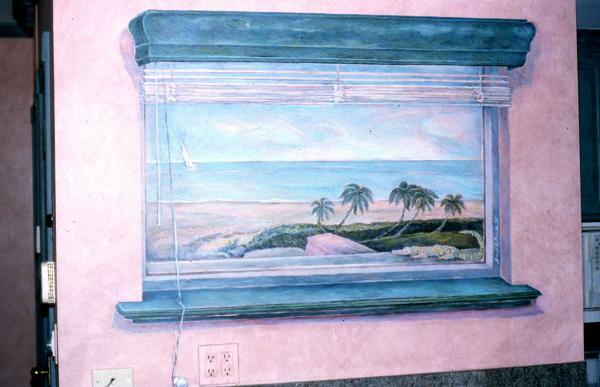 of the venetian blind --- both lifelike but actually painted! is because of the trompe l'oeil technique used. the ocean.h lifelike but painted!